LIONS SERVICE CENTER, JOY PLAZA, N H 34. THE WEBSITE IS BEST VIEWED IN FIREFOX OR GOOGLE CHROME. It gives me great pleasure indeed to share with you the joy of inauguration of our very own Lion’s center. It’s a dream come true for all of us. A dream that we cherished for years, and had been striving hard for it. Many a times, we had gone a long way, but for one reason or other none of the plans did materialize. Very recently the chairman of English Bazar Municipality, Shri Krishnendu Narayan Choudhury, out of a rare gesture of nobility, and goodwill offered us, on lease, a beautiful site on the second floor of Atul Chandra Kumar Market for construction of our center, with all praise and lots of thanks to him, we devoted our attention to it. But due to enormous cost of the project and limitation of our resources, we could not make much headway. Meanwhile, a truly Lion -hearted friend amongst us, Lion S. N. Randhar, appreciating the gravity of our need and difficulties, came forward and agreed to part with this portion of his lucrative plaza at a very modest cost and that too on deferred payments for the sake of Lionism. One of our charter members and most dedicated and dynamic Lion Shri Nabendu Sarkar laid the foundation of this "Lions Service Center" on 5th of March, 1996 and it was dedicated to service on 7th of July 1996, by one of our past Dist. Governor of Dist. 322D, Lion P.C. Agarwal. On this auspicious day I wish to record my deep appreciation for all who have contributed their might - financially, physically or otherwise, to complete this project in record time. 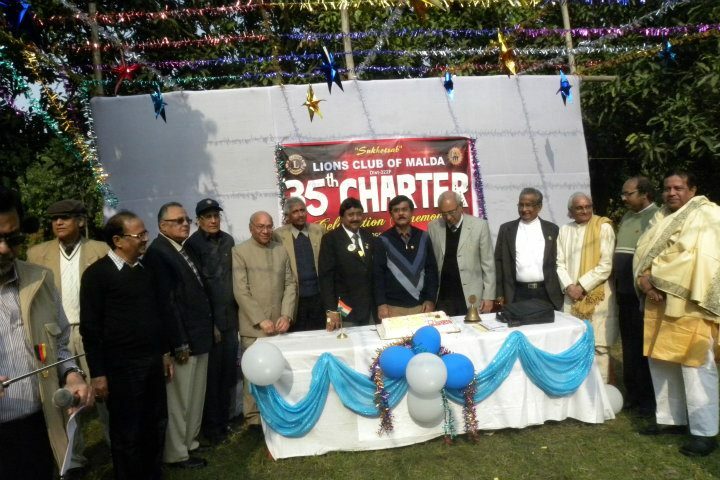 This "Lion Service Center” of Malda Lions Club, I hope will help us to turn dreams and visions of Lionism into tangible reality. "To empower volunteers to serve their communities, meet humanitarian needs, encourage peace and promote international understanding through Lions clubs". 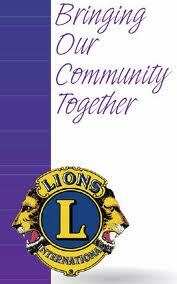 The "International Association of Lions Clubs," also known as "Lions Clubs International" is not a Fraternal organization, rather it is the largest and most effective Community Service Organization in the world. Lions are an international network of 1.3 million men and women in 205 countries and geographic areas who work together to answer the needs that challenge communities around the world. Regardless of Race, Religion, Gender, or language they speak, all Lions are dedicated to seeking out and helping those in need. "Our club's Website has own the 2nd prize at all India contest of websites"